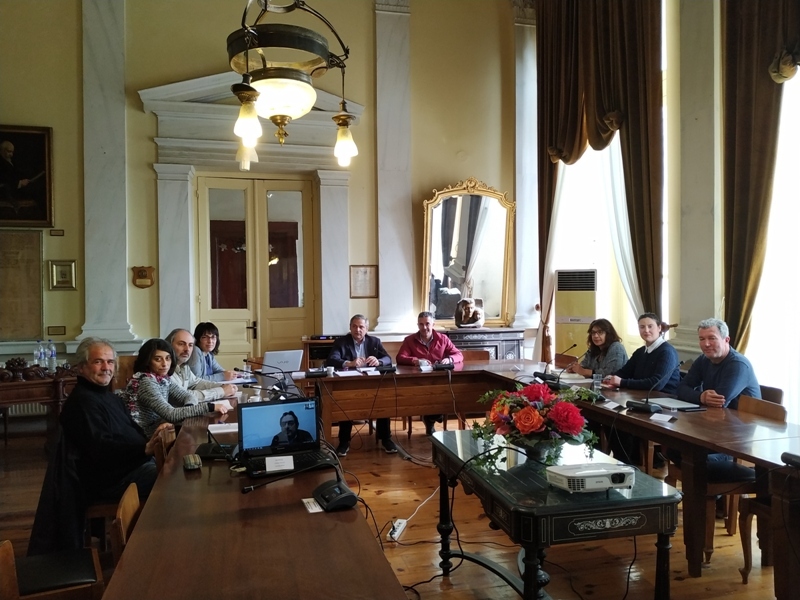 Representatives of the LIFE Andros Park project participated in the first meeting with stakeholders held by the newly established Management Body of the Protected Areas of Cyclades on the 2nd of February in Athens. The meeting was one of the Management Body’s first moves, highlighting its intention for collaboration with stakeholders that are already active in the protection and management of the Natura 2000 sites of Cyclades. The meeting was attended by members of the Management Body’s Board, representatives of stakeholders active in the protection of the environment and the implementation of actions and projects within protected areas of Cyclades, most of which were or are involved in the implementation of LIFE projects in Cyclades, as well as by representative of the team that will undertake the elaboration of the Special Environmental Studies for the Natura 2000 sites of Cyclades. The LIFE Andros Park project was represented by the Municipality of Andros, MOm and NCC. In the framework of the meeting, the important species and habitats were briefly presented, while subjects concerning the available by the stakeholders know-how, equipment and volunteer involvement capability for the local support of the Management Body activities were discussed, as well as the actions that have been or are implemented within the sites, mainly through LIFE projects, the challenges that arise in the management and surveillance of so many protected areas in an insular environment with a large number of uninhabited islets, the participation of the local community in the management of the sites and the need to engage and seek collaboration with additional stakeholders. Furthermore, the role of the LIFE projects that have been and are implemented on the Andros Island was emphasized, which have contributed to the improvement of the knowledge for the protected species and the Natura 2000 sites of the island and through which conservation actions are implemented and know-how and equipment has been acquired locally that can support the work of the Management Body. The Board of Management Body of the Protected Areas of Cyclades was established in early February, the Management Body will be based on Syros Island and will be responsible for the management of the 36 Natura 2000 sites of Cyclades. The first Board meeting was held on the 9th of February on Syros Island.